In this chapter I will build the NASA Whitcomb winglets. 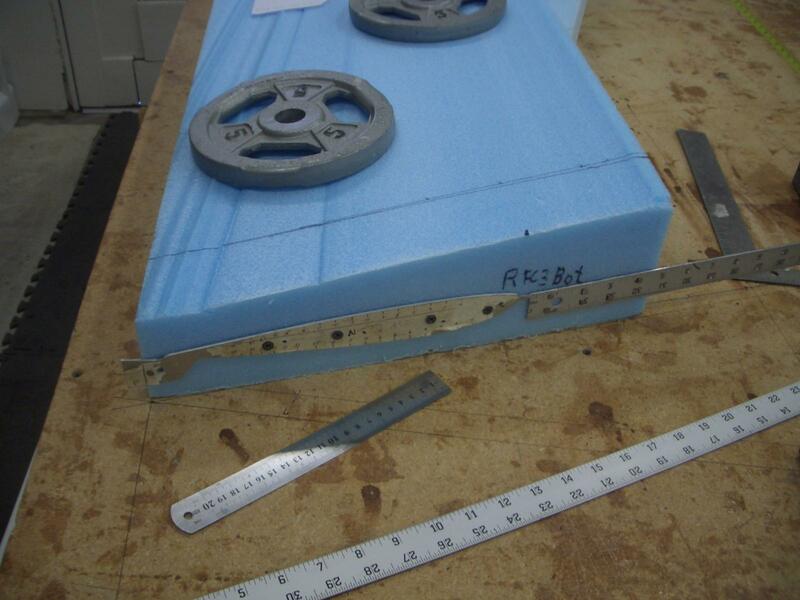 I will carve and glass the cores, install the top winglet on the wing, then install the bottom winglet, cut out the rudders and hook up the rudder controls. The upper winglet has undercamber facing outboard. The lower winglet has undercamber facing inboard. In flight, the winglets eliminate the vortex rotation which normally occurs at a wingtip. This increases the effective aspect ratio, and results in increased efficiency in climb and cruise. The winglets are hotwired in a similar manner as the wings. Since I had the templates for the winglets and all of needed foam, I hot wired them at the same time as I was hot wiring the wings. "Think about it this way - imagine that the upper winglet is horizontal and just an extension of the main wing - the flatter side is facing down, just like on the main wing. 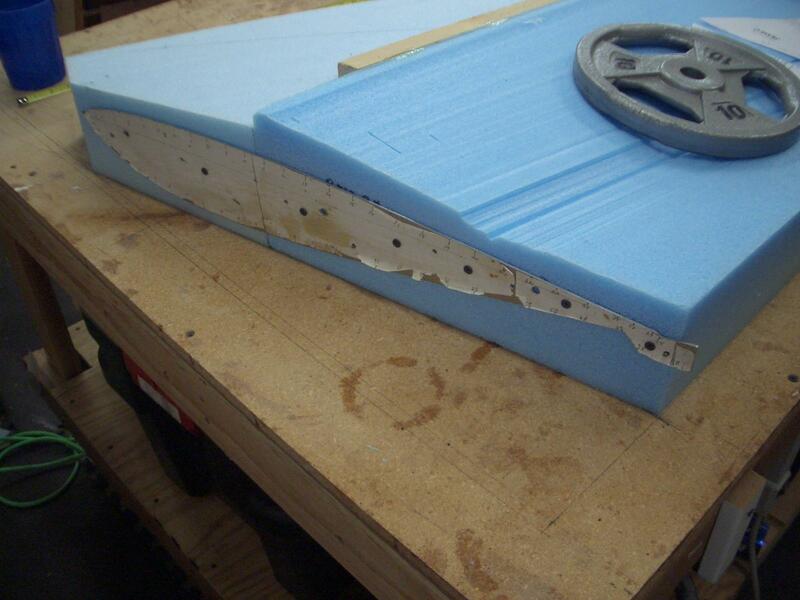 Then bend the winglet up into it's real position - the top surface now faces in, and the bottom surface out." "Now do the same logical thought experiment with the lower winglet - bend it down, and the flatter side faces inboard (to the extent that it doesn't have to match the upper winglet at the wing intersection". 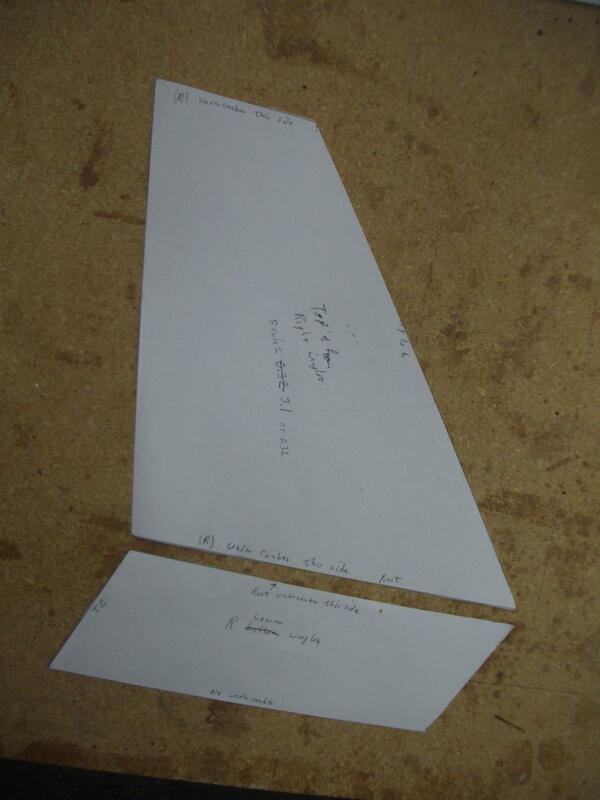 To better visualize what was supposed to be done, I cut out a paper mock-up of the winglet. I noted on the mock-up all the edges and which camber was on each side. 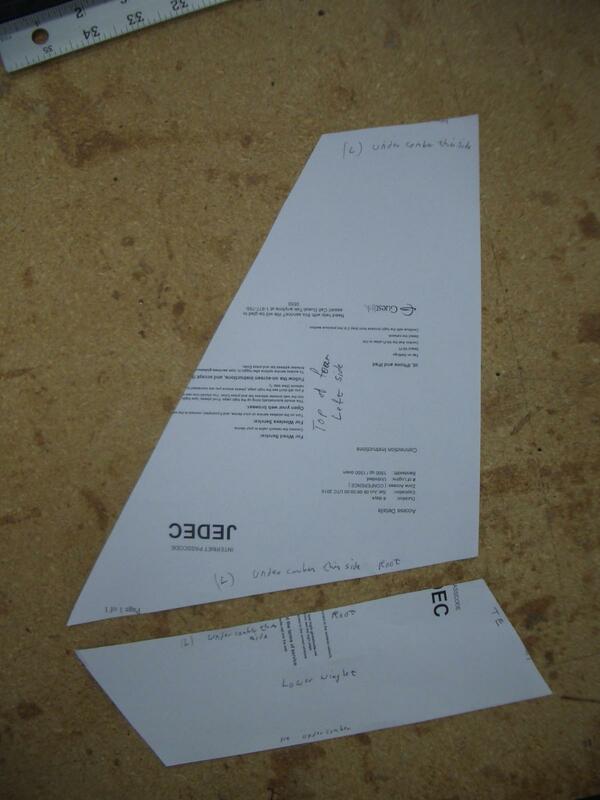 I did this on a piece of scrap paper so the printed items are not relevant to the mock-up. Click on the above thumbnail to get a larger picture. 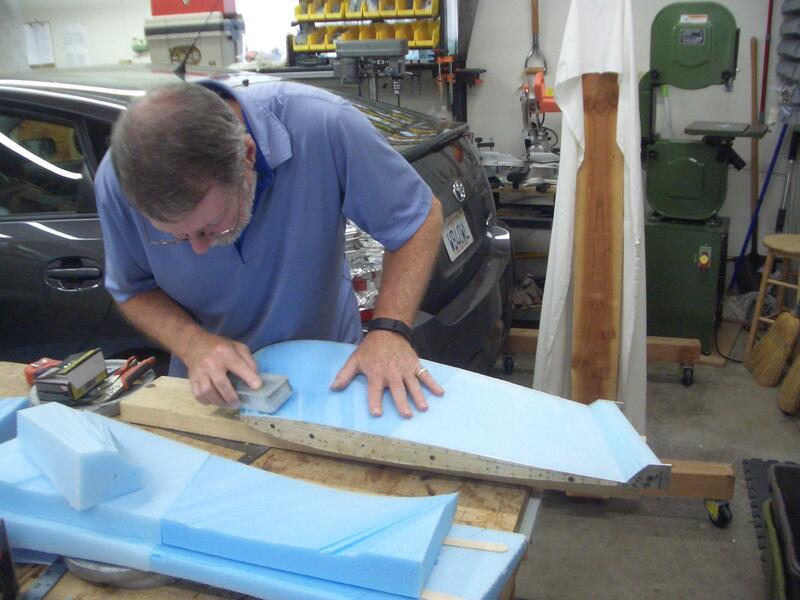 Placing the top template on the upper winglet. 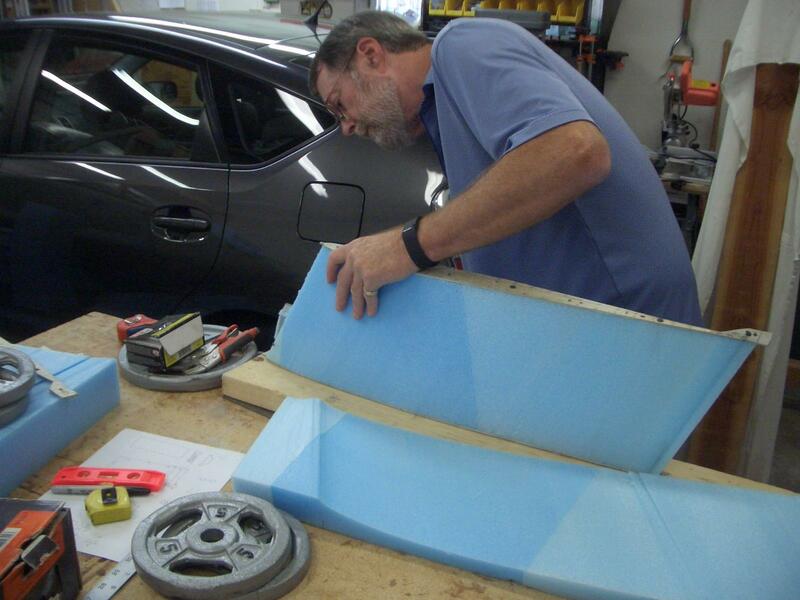 Placing the bottom template on the upper winglet. Smoothing out the curvers on the lower winglet after hot wiring.